With the 100th anniversary of the Great War on the horizon in August, many impressive new memorials have been erected around the country. Irish television and radio have adopted World War One as a major recurring theme, and Irish newspapers consistently return to the topic of personal experiences of the war. Irish Universities are running numerous conferences about the Irish experiences of the war (see examples at UCC, UCD, NUIG, TCD). As someone who is also involved in World War One research, I am delighted to see this program of events. However, the huge divergence in how both conflicts are remembered also tells us much about Ireland, and how we on the island view Irish history. 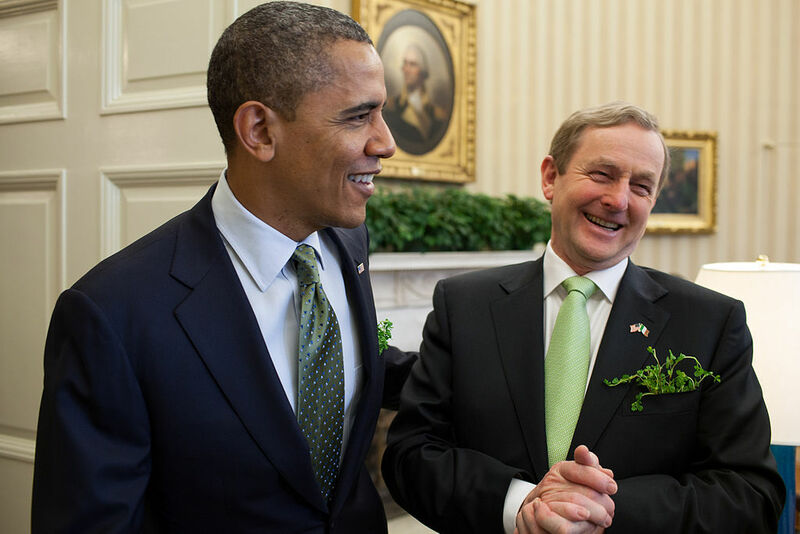 By and large the Irish Government, Media and Educational institutions are overwhelmingly insular when it comes to the history of Ireland and the Irish. The stories of those who emigrated come an extremely poor second to the stories of those who stayed behind. As I have often highlighted on this blog, there is yet to be a single comparable event to those cited above for World War One which relates to the Irish experience of the American Civil War. This is despite the direct causal links that can be drawn between Ireland’s 19th century calamity- The Great Famine- and many Irishmen’s participation in the 1861-65 war. 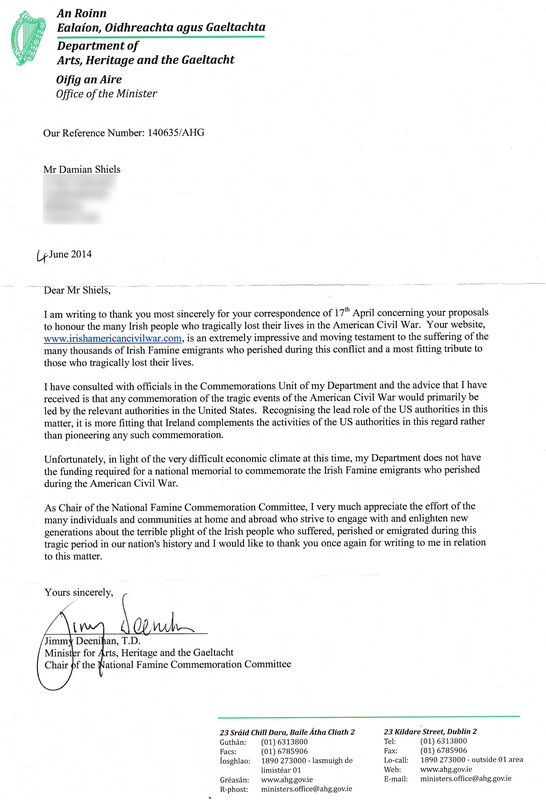 As part of continuing efforts to see some recognition of the impact of the American Civil War on hundreds of thousands of Irish people, I wrote to the Irish Minister for Arts, Heritage and the Gaeltacht, Jimmy Deenihan TD last April. I did so in his capacity as Chair of the National Famine Commemoration Committee. Despite our annual commemoration of the Famine, we rarely tie this event with the deaths of thousands of Irishmen in the 1860s, many of whom were in the United States as a direct result of that Famine. Having had a number of efforts to have the impact of the American Civil War on Irish people remembered and discussed fail over the course of the 150th, my purpose in writing to the Minister was to see if it would be possible for the State to formally acknowledge the scale of Irish involvement in the conflict as part of the upcoming International Famine Commemoration speech in New Orleans. If you are interested in seeing the letter I provide the full text below. In early June I received a response from Minister Deenihan (also below). The Minister’s reply was extremely gracious. In it he noted that he had consulted the Commemorations Unit of his Department on the topic of the Irish experience of the American Civil War, who advised him that any commemoration of Irish involvement should be primarily led by authorities in the United States. He also pointed out that due to the (very real) economic difficulties being experienced in Ireland at this time, there was no funding for anything such as a memorial to the Irish experience of the conflict. I greatly appreciate that the Minister took the time to respond to my letter. I was interested to learn that the Irish Government’s position is that any remembrance of the Irish involvement in the Civil War should be driven by the United States. I admit to finding this position somewhat odd- for example Ireland is not taking the view that remembrance of the Irish in World War One should be driven by the British Government. Indeed I imagine such a position would be met with outrage in many quarters. I strongly believe it is Ireland’s responsibility to remember, acknowledge and explore the experiences of Irish people around the world; we should not be waiting for a call from other nations to engage with the history of our diaspora. Neither is it clear what approaches the Irish Government have made to the United States Government with respect to becoming involved in U.S. commemoration of the American Civil War, although it may be that there have been efforts in this direction. I also fully understand the Minister’s position that there is no available funding for a memorial. Again, this would be easier to accept if it were not for the significant financial efforts being made by the State with respect to World War One. I have been unable to locate figures for the Government budget with regard to World War One commemorations, but it is certainly higher than the budget of €0 that has thus far been allocated to the Irish of the American Civil War. I will take the Minister’s advice and correspond with the U.S. Chargé d’affaires in the Irish embassy, on the basis that Ireland is keen to participate in U.S. led commemoration of the impact of the American Civil War on Irish emigrants. Although the Minister did not address the request to see Irish involvement acknowledged within the New Orleans Famine Commemoration speech, time will tell if that is something that will be highlighted at the event. I will keep readers of the blog updated on both these fronts. All in all- despite the Minister’s kind words- it seems likely that the policy of forgetting these Irish emigrants is set to continue. I am writing to you in your capacity as Chair of the National Famine Commemoration Committee. I was delighted to hear that this year’s commemorations will take place in Strokestown and New Orleans respectively. I wanted to request that consideration be given at either or both of these events to officially remember the Irish who were impacted by the American Civil War some 150 years ago. The 150th of this event runs from 2011-2015, but unfortunately as a nation we have yet to make any official statement with regard to the many Irish who lost their lives in this conflict- many thousands of whom were Famine emigrants. You may not be aware that the American Civil War is the largest conflict in the Irish historical experience alongside World War One. At least 1.6 million Irish-born people lived in the United States in 1861, and some 200,000 fought in the war. Tens of thousands of these men died. Indeed it is likely that more men from what now constitutes the Republic of Ireland fought in the American Civil War than in World War One. Nor is it an event of the distant past; the last known Irish-born veteran was still alive in 1950. Despite this being one of the most seminal moments in the experience of the Irish diaspora, and the second great trauma in many Famine emigrants’ lives, we have yet to officially mark the anniversary in Ireland. We have no national memorial, we have held no commemorative events and had no conferences to discuss this war’s impact on Irish people. My colleagues and I have made a number of attempts to highlight the scale of Irish participation over recent years, but unfortunately have largely failed. Our most recent effort to see these 200,000 Irishmen marked with a commemorative stamp in 2015 was unfortunately rejected by An Post, and seemingly with that the State’s last opportunity to acknowledge the devastating effect of this war on Irish emigrants 150 years ago has passed. It is my hope that perhaps the inclusion of an official reference to the anniversary of the conflict and its importance and impact on Irish emigrants might be considered as part of the Famine commemorations. I am aware of your own deep personal interest in history- indeed when I wrote to politicians a number of years ago regarding the Irish Brigade flag in the Dáil I received the most encouraging response from you. I have dedicated much of my time over the past five years to remembering Irish people’s stories on my website www.irishamericancivilwar.com and elsewhere; prior to that I was fortunate to be one of the curatorial team who prepared the Soldiers & Chiefs exhibition at the National Museum of Ireland. I listened with great interest to your recent speech at the World War One Conference in UCC (an event at which I also spoke) and the importance of remembering that event. Thankfully the memory of World War One has been pulled back into the light, and is no longer a forgotten conflict in Ireland. It is my hope that we will at some juncture take the necessary steps to remember our other Great War, fought by our Famine emigrants 150 years ago. 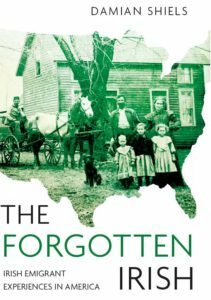 I had the good fortune to publish a book on the Irish experience of the American Civil War last year, and I enclose a copy of that for your interest. Hope the U.S. Chargé d’affaires will be a bit more considerate than our own. Lets not forget these men, women and children. Absolutely I couldn’t agree more! Thank you, Damian, for the work you are doing to honor these Irish who fought for the preservation of the United States – my own great-grandfather being one of them. I always think of him on the 4th of July. Thanks Lois I appreciate it, and thanks for staying reading! This report indicates why your battle against this amnesia or apathy of historical memory is so important, Damian. Keep up the fight. Thanks Mark I appreciate that! To go along with your post, there is a memorial to one of the first military men killed in the Civil War, before war was even declared. This was at John Brown’s raid at Harper’s Ferry, (now West) Virginia. Marine Corps Private Luke Quinn, came from Ireland in 1935, enlisted from Brooklyn. I would like to attach a picture of the monument here, but don’t know how. God bless him & all others from everywhere who fought for America. A site i have visited, the Marines take great care of his grave. Harper’s Ferry is a wonderful place.